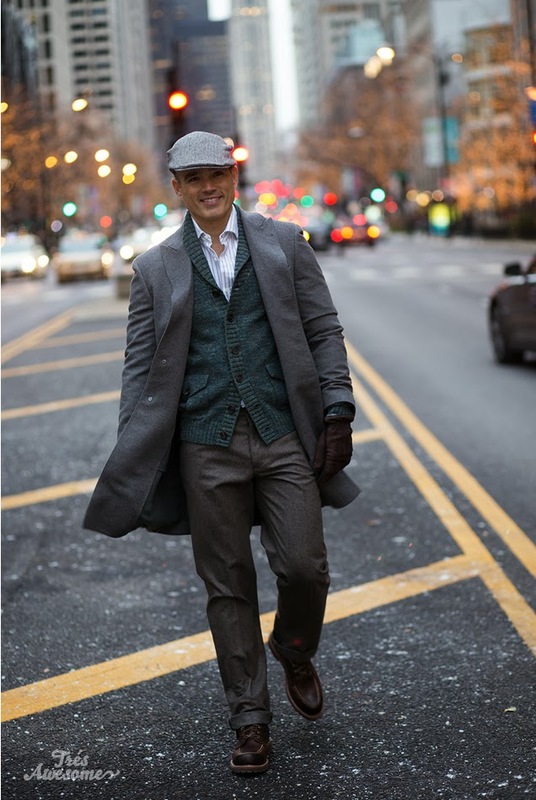 Last week I had the pleasure of capturing some of Chicago's most stylish men for Saks Fifth Avenue to celebrate the launch of their new department The Fifth Man at their flagship location on the Magnificent Mile on Michigan Avenue. First up is Lonnie Rodriguez is a partner in Genuine Chicago and also appears in the upcoming Bravo Series 100 Days of Summer. 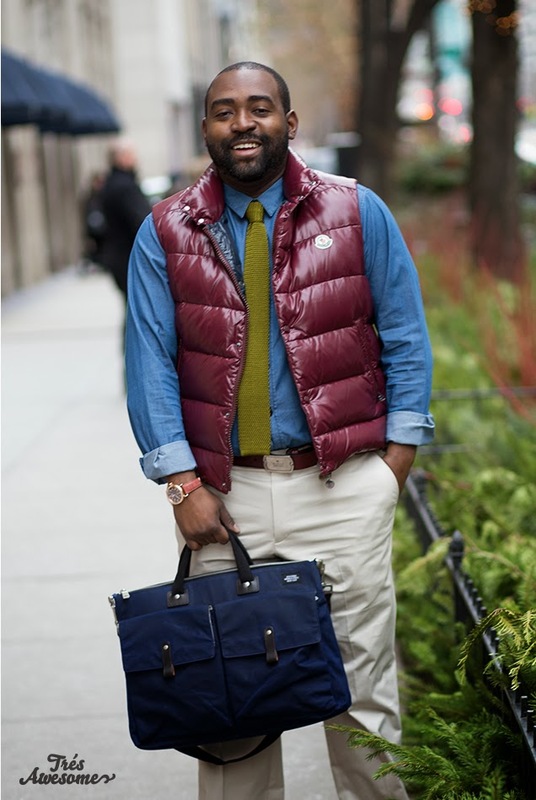 Ernest Wilkins is a writer for The Red Eye and the founder of November of Dressing Nicely. 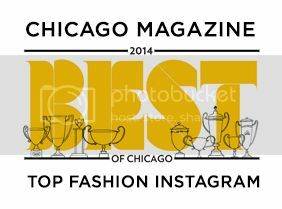 Now it's fourth year, it's part challenge to sometimes complacent Chicagoans to get their sartorial act together and best dressed contest. 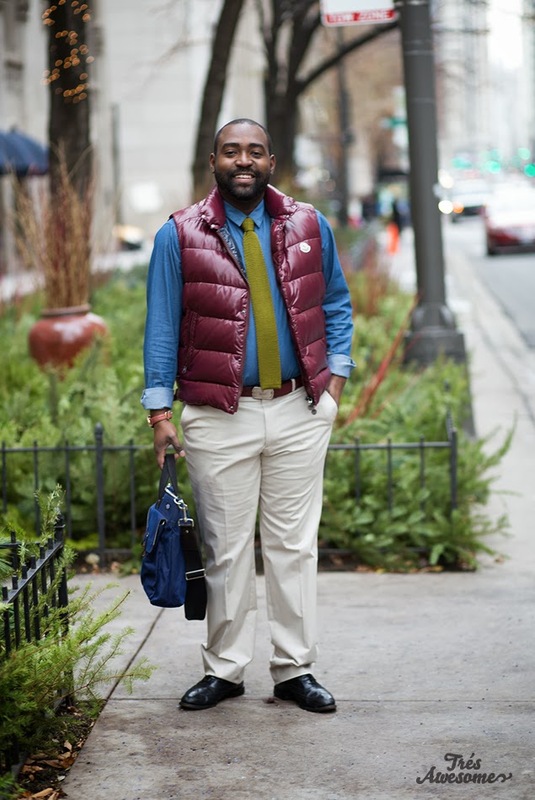 Ernest is certainly living up to his own challenge, he looks incredible here in this Moncler vest and Jack Spade bag. 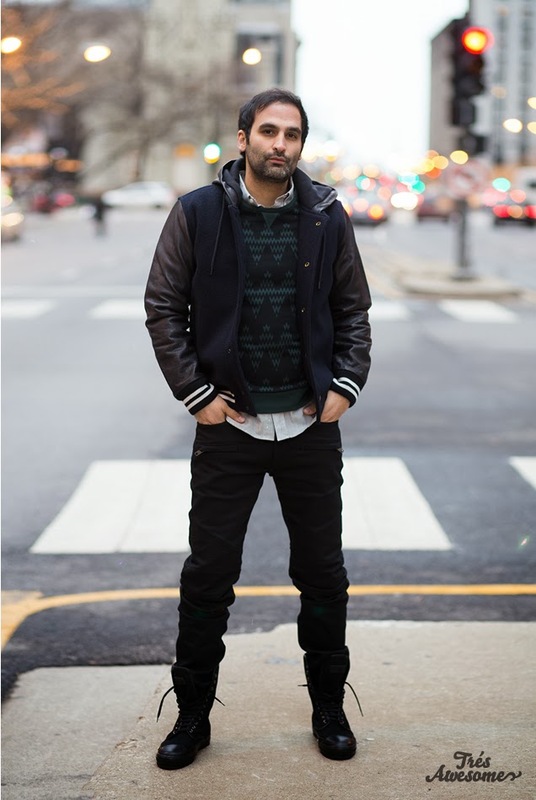 Vince Anzalone is looking FRESH in this Burberry jacket and Hudson Jeans. 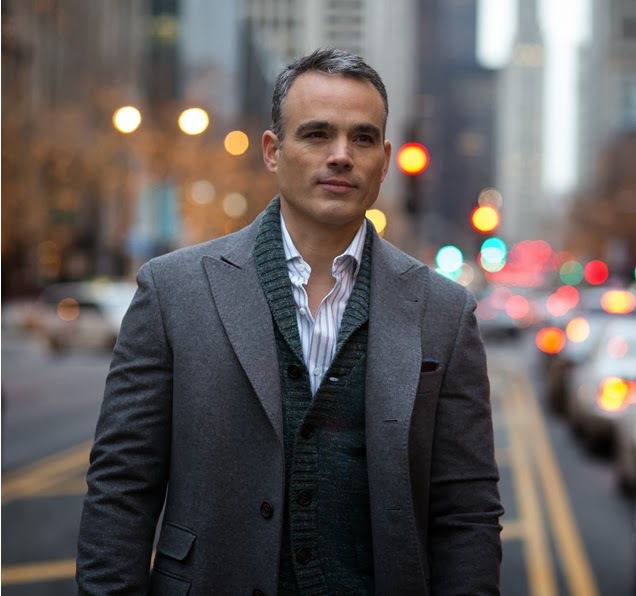 He is a co-founder in the company Genuine Chicago and also stars in the upcoming Bravo reality series 100 Days of Summer. 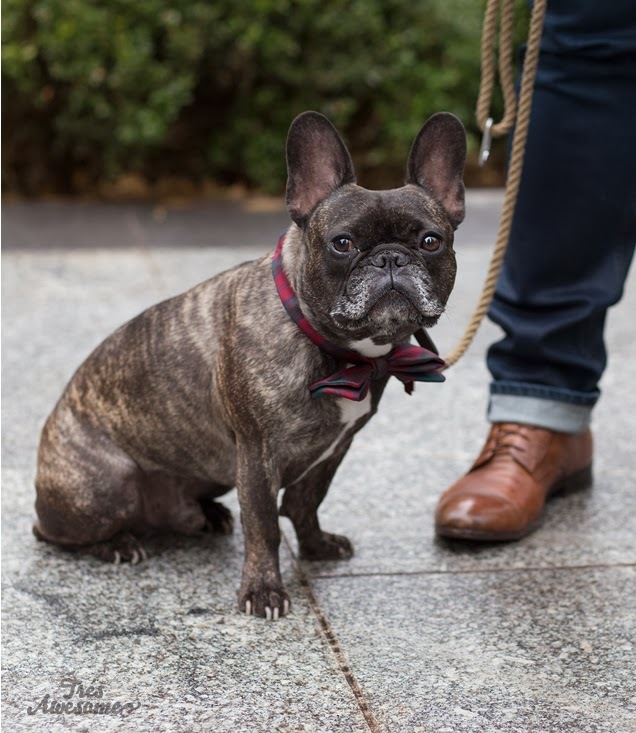 His French Bull Dog "Dude" also looks MEGA FLY in his 'lil bowtie. Phil Tadros is the man behind Doejo and Bowtruss Coffee. He looks super cool here in a Marc by Marc Jacobs varsity jacket and Hudson Jeans. Also how amazing are these Alexander McQueen Boots?! Answer: VERY. Last but certainly not least is James Goeke, dashing man about town. This whole ensemble slays me. Everything from the expertly mixed pattern and texture to the gold pocket chain. Let's go in for a closer look shall we? 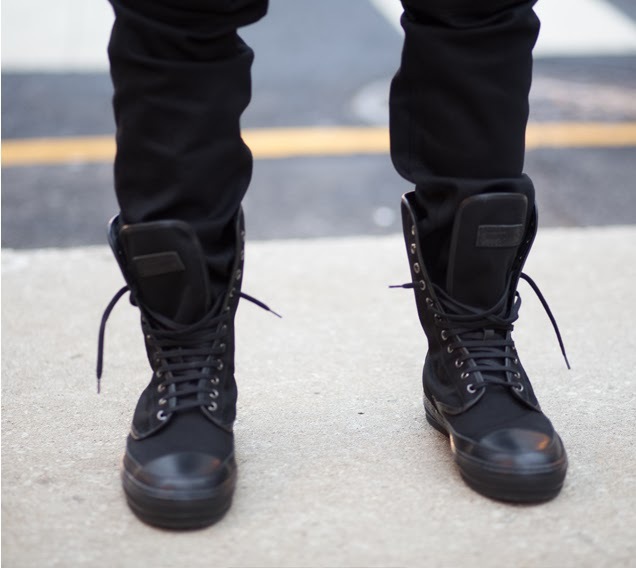 You can never have too much Alexander McQueen. So much style, so little time ;) Look for the #TheFifthMan department opening next month at Saks Fifth Avenue on the Magnificent Mile. OMG that dog is ADORABLE. So so so so so cute. Very dashing, indeed Mr. Goeke! They definitely did save the best for last. James looks amazing!